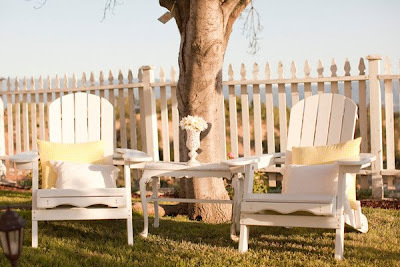 beautiful styling, I lake it! Merveillieux! 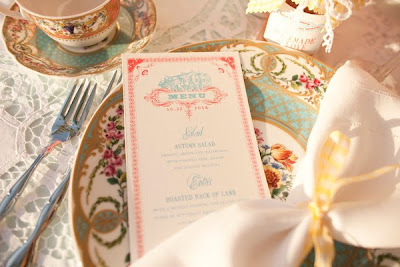 I love the menu card and that colour combiantion is so delicious! So pretty! The china pattern is gorgeous! Stumbled upon your blog this early morning. What a wonderful way to start the day. Your blog is gorgeous. Looking forward to getting to know you. Wow - how stunning and possibly my favourite yet. Hard choice though. All your images you share are drop dead gorgeous. Have a wonderful week. Lovely pics and lovely flowers! oh yeah~ me lovin that too! PS. Come enter our coffee giveaway! Enjoyed looking through your blog. 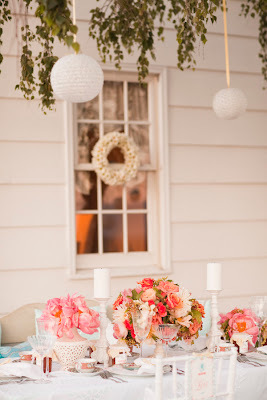 Beautiful images, coral and white do go great together! So pretty, you can't go wrong with an abundance of flowers at the center of your table. Ooooooh.... I miss summer already. Very pretty. Yes, the table setting is just lovely. The china is exquisite. wow this is so splendid and beautiful! 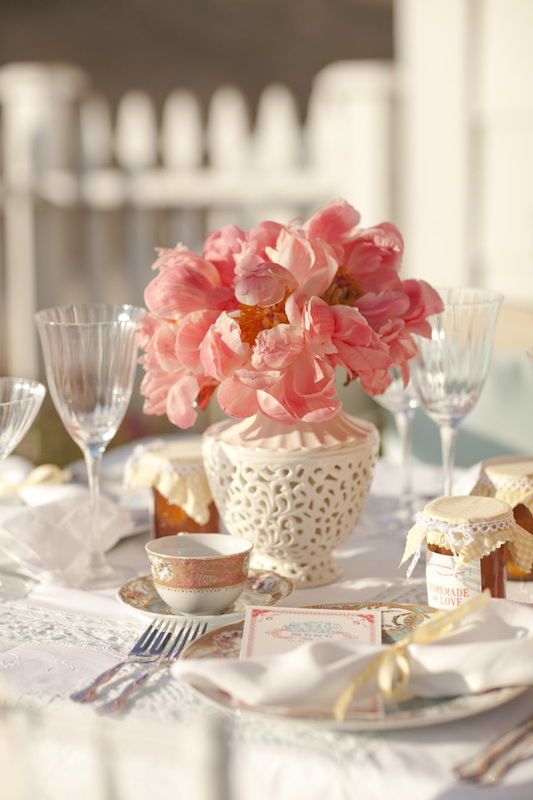 gorgeous setting for a tea party or afternoon luncheon! Those coral flowers and the china are gorgeous! Lovely photos. Very feminine!